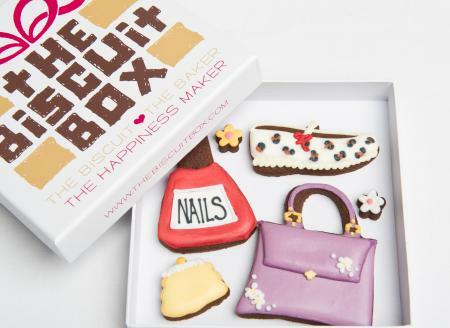 The perfect gift for your fashion savvy friends. 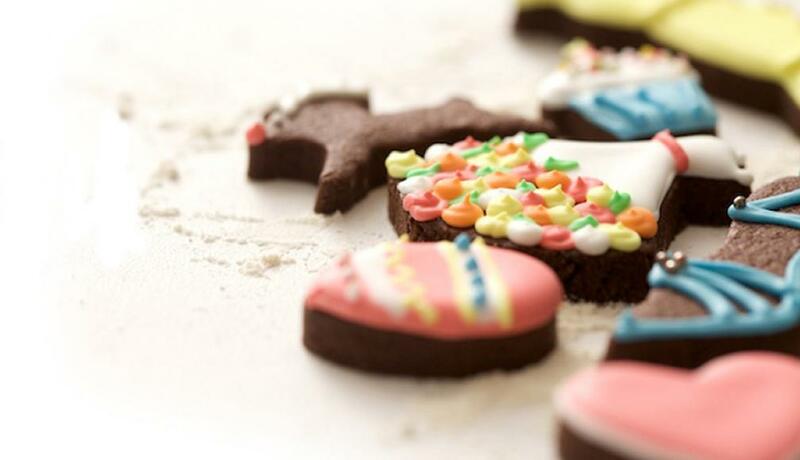 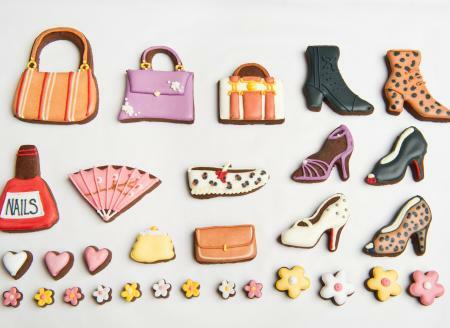 Enjoy the trendiest shoes and handbags in biscuit form! 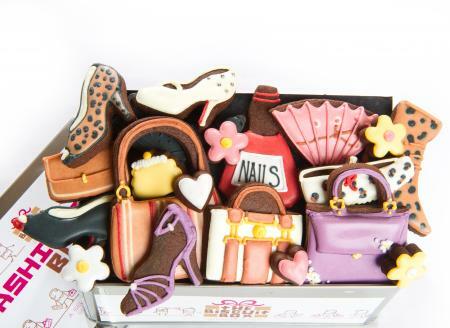 This tin is packed with gorgeous shoes, hand bags and accessories all hand iced on our yummy chocolate biscuits. 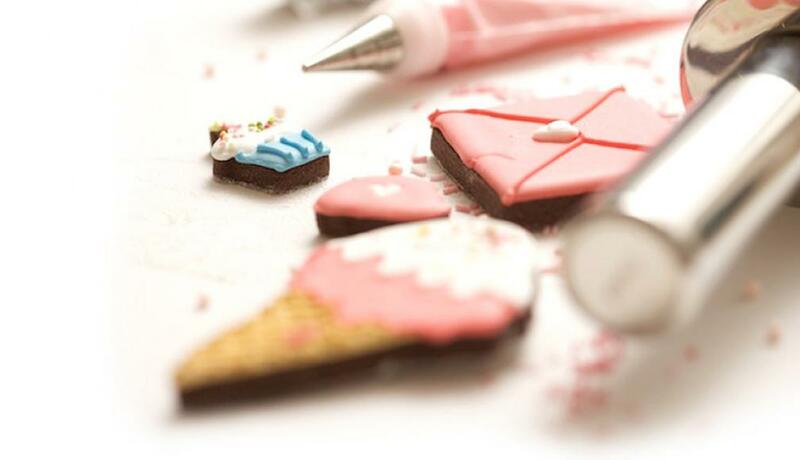 Great as a Thank You, Birthday or Girls night in gift. 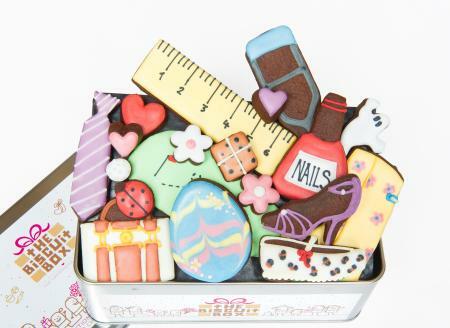 This tin contains approximately 30 biscuits of various shapes and sizes, beautifully displayed over three layers and presented in our Fashionista Tin. 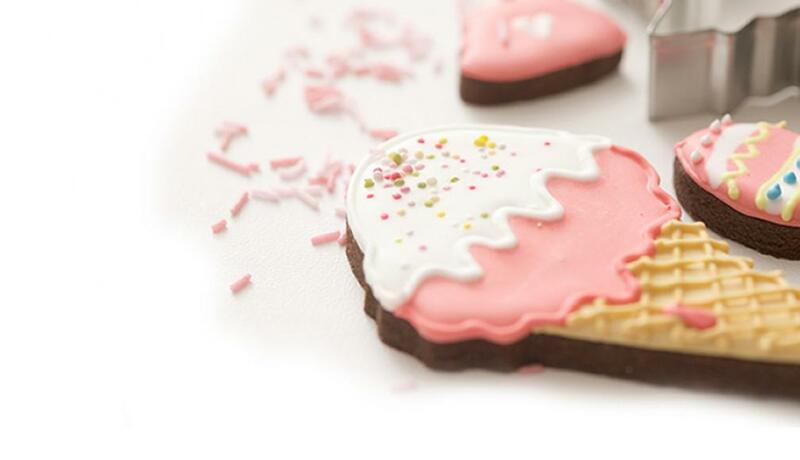 This biscuit card is perfect for the budding fashionista, with cute shoes and handbags all hand iced onto our super chocolatey biscuits it makes a great gift. 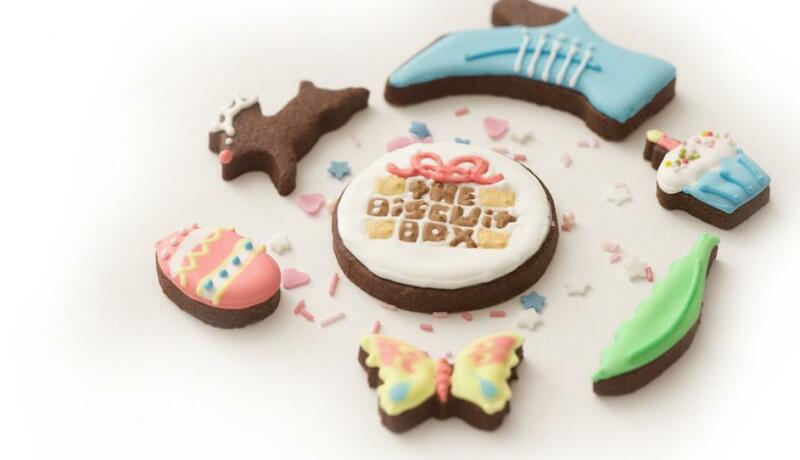 This biscuit card contains approximately 6 biscuits all displayed over 1 layer and presented in our biscuit card box. 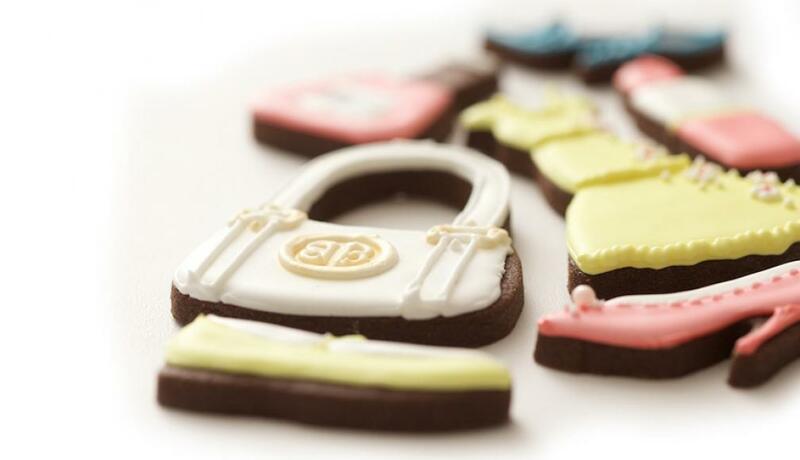 These gorgeous handbags are all hand iced onto our super chocolatey biscuits. 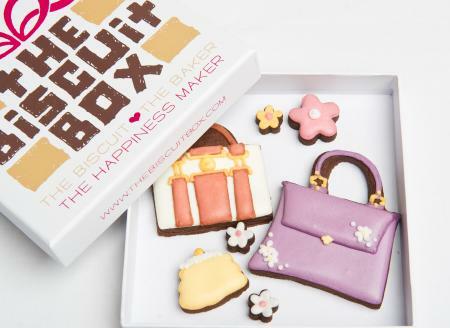 From day time to after hours there a handbag for anytime or just eat them all at once! 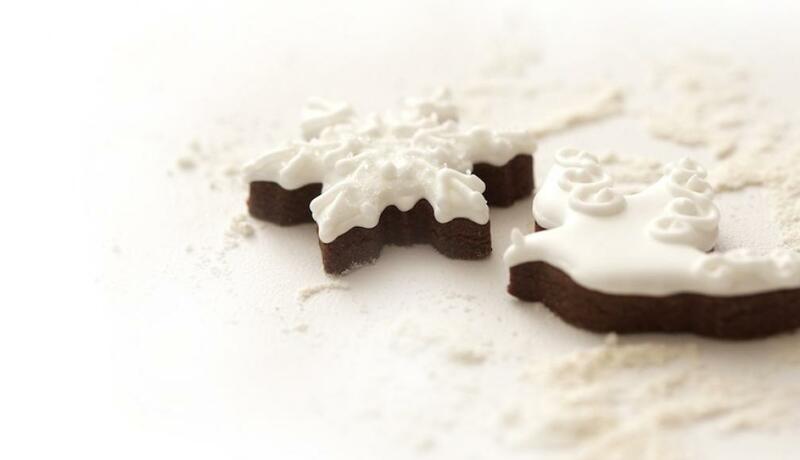 They make a great gift for any occasion. 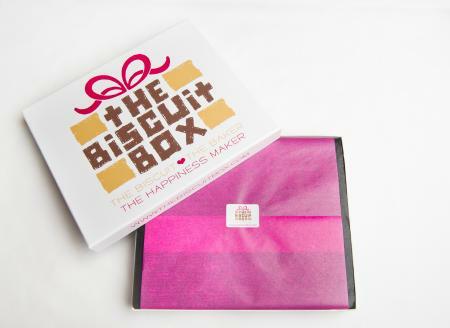 This biscuit card contains approximately 7 biscuits of various sizes all displayed over one layer in our branded biscuit card box. 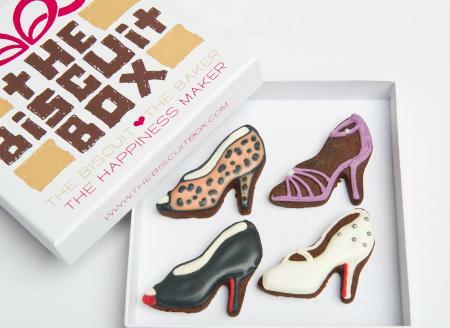 The perfect gift for a shoe lover, our sassy shoes biscuit card contains 4 gorgeous shoes in different designs. 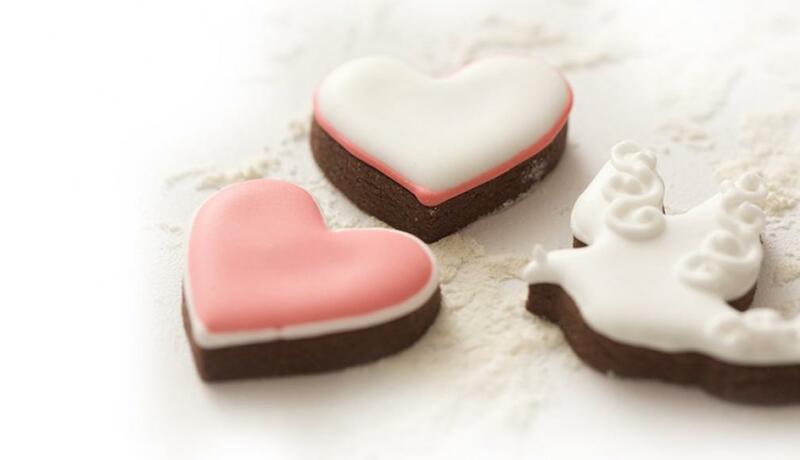 All wrapped up in our cute biscuit card and tied with a bow it makes a great gift for any occasion. 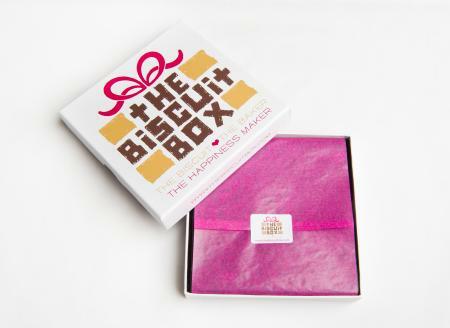 This biscuit card contains 4 biscuits displayed on one layer and presented in our branded biscuit card box.